All the Art Classes and Art Workshops are held 20 minutes south of Auckland. 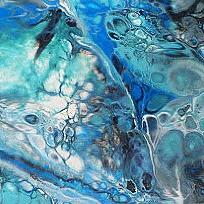 Below is information on the acrylic flow/pouring workshops. 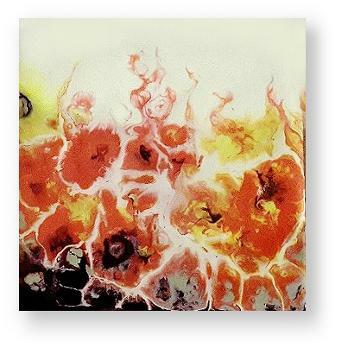 Each piece of artwork will be a single special item and totally different from others as it is impossible to recreate similar designs in this technique. Only a smaller number of attendees are taken, giving more time to look after each individual. Speak to friends and organise a group to enjoy together. Wish to have a session at your home? 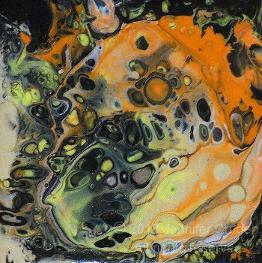 acrylic pour-flow if a group of friends would like a fun time together at your place. Different techniques shown. Please contact me to arrange. Beware ... this is messy! A 3 hour (approx) session in which you will be introduced to this quite intriguing art-form, where you will have fun creating your very own personalised, individual coasters - as well as artwork on canvas. 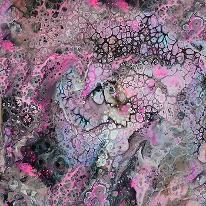 This is an introduction to acrylic pouring, where you will discover the inner artist in yourself with a hands-on workshop and have fun. 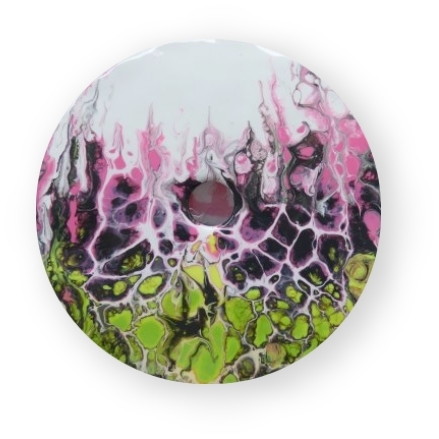 Learn techniques to produce unique designs with acrylic paint and the pouring method. 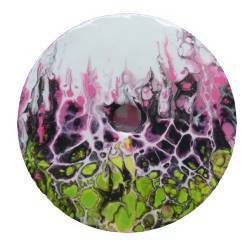 Each attendee will produce entirely different items from others, as not one art piece is able to be recreated. 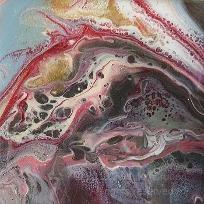 Different techniques will be undertaken for the coasters and canvas. 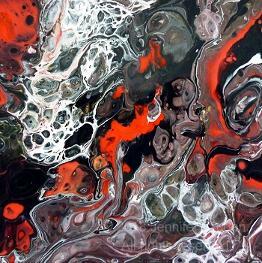 Some of the paintings displayed on this page have faces in them (can you see?). 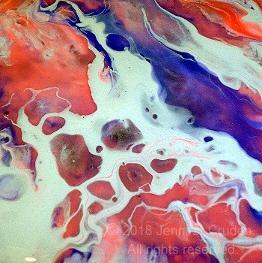 When the paint stops moving, your imagination will take over - you may be lucky to have all sorts of 'things' appearing in your pours. Be aware the colours/patterns may stay the same overnight, at other times may change and be totally different - we just never know what the design will do. Artwork is able to be collected after 2+ days - this is to ensure it is able to be transported without paint moving. Suggestion - bring a box, with towel laid flat in it, place items separately on top of towel. This will ensure art does not move when driving home. this is 'very messy' but - oh so much fun. LIKE TO DO THIS WITH SOME FRIENDS???? Groups of 5-8 taken. Have some fun with others. 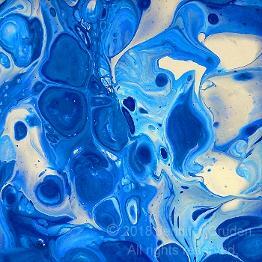 If you should wish to have an acrylic pour workshop, please contact and this may be possible. Thank you. View home page for other workshops. Lots of smiles and laughs. Old clothes, as possibly (and probably) will get paint on. Plus old tea towel, cut length-ways and then in half again.